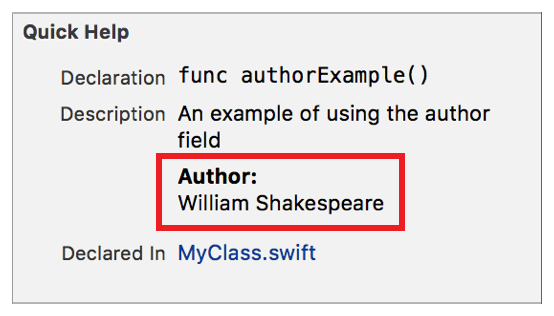 Use the callout to display the author of the code for a symbol. The author name displayed in Quick Help is created as described in Parameters Section. Use the Authors delimiter to list multiple authors in one callout.